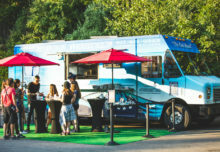 Empire State Development, New York State’s chief economic development agency, on June 3 launched the I Love NY mobile tour, a program designed to educate New York residents (chiefly) about all the destinations located right within their state. Housed in an eight-foot by 16-foot foldout trailer pulled by an SUV, the activation is targeting festivals and family-friendly events through Oct. 2. The mobile tour is designed to give consumers their own customized digital guide to the state’s offerings. 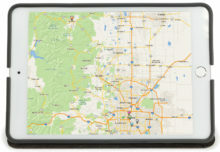 The first engagement: the travel profile “detector.” Consumers take a nine-question quiz at a tablet kiosk, and based on their answers, receive a personalized travel profile that offers a list of destinations and attractions that match their preferences. The detector also offers up a suggested “travel buddy,” an illustration of what type of person best matches up to their recommended trip types and destinations—like “happy campers,” “history hounds” and “aquafiles.” Consumers can access their travel profiles anytime via a link sent to the email they registered with—and hopefully, start taking actions on their bucket list. Next, consumers test their knowledge about all the different types of places to visit in the state at another kiosk (kiosks feature tablets attached to rolling suitcase stands). They can explore the Empire State’s 11 travel destinations on an interactive map app. To wrap up the mobile tour experience, there is a blue-screen photo activation that allows consumers to pose in front of their choice of backdrop of one of the state’s destinations—an image that is also retrievable from their digital profile. Leading consumers through the digital engagements is a team of brand ambassadors that help drive conversations offline using their own extensive knowledge. The I Love NY mobile tour will make 30 stops, including the Syracuse Jazz Festival in the Finger Lakes region, Taste of Buffalo in the Greater Niagara region and the Hudson Valley Garlic Festival. The tour has already activated at Fairport Canal Days in the Finger Lakes, Mysteryland in the Catskills and Adventures NYC. Agency: Jack Morton Worldwide, New York City.